Pengo offers a line of configurable drilling tools and accessories to outfit foundation drill rigs capable of producing large diameter shafts in challenging soil conditions. Check out Pengo’s foundation tooling line to match the correct tool to your rig for construction-focused drilling, including pilings, drilled shafts and slurry walls. 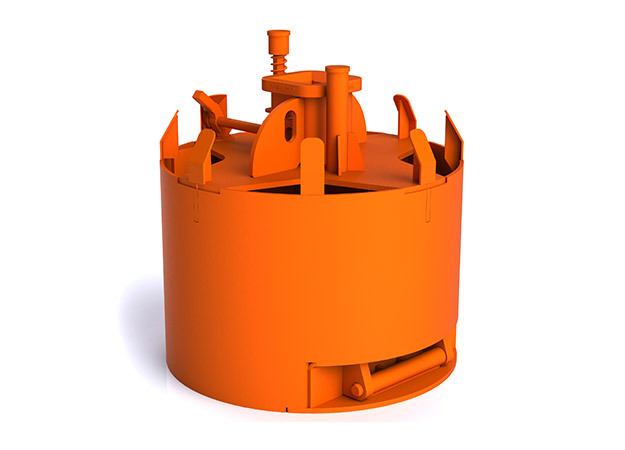 Pengo provides yet another solution for your drilling needs with its 3-in-1 combo drilling bucket. It features a patented scissor latch and CAM-activated release system. Located in the vent, the double-finger latch system (on buckets 36" dia. and larger) stays protected from the drilling spoils, thus allowing the scissor to function without any interference. The double-open bottom design allows the operator to open the bottom plate either manually or automatically. Choose from dirt, rock or clean-out drill bottoms.